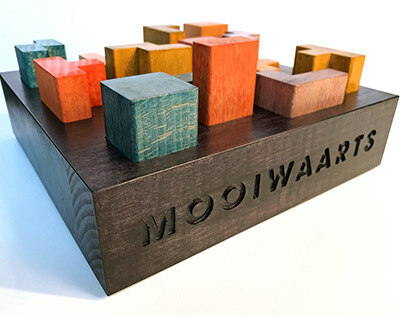 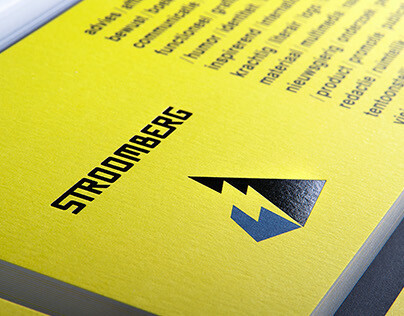 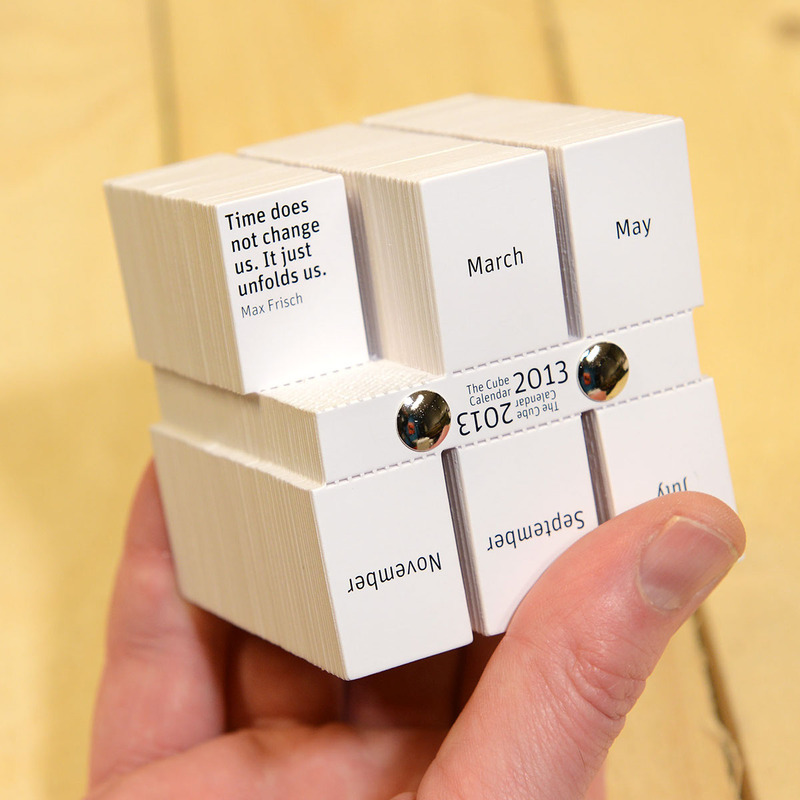 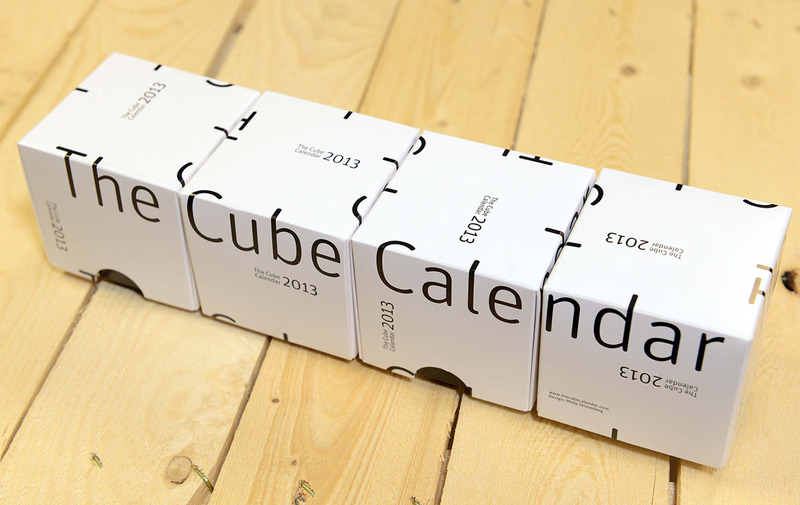 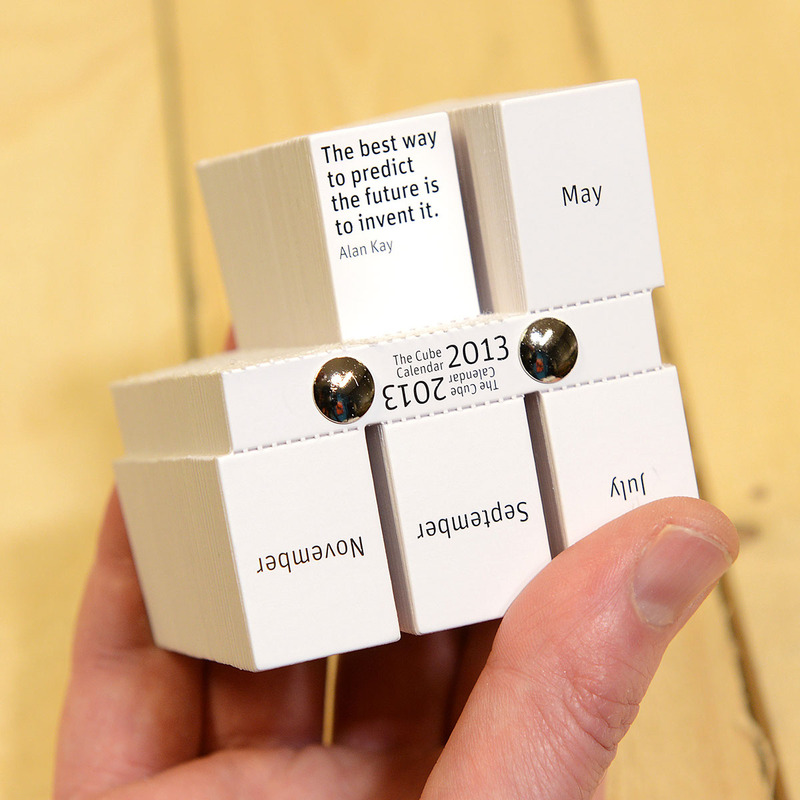 The Cube Calendar has been designed by Philip Stroomberg. 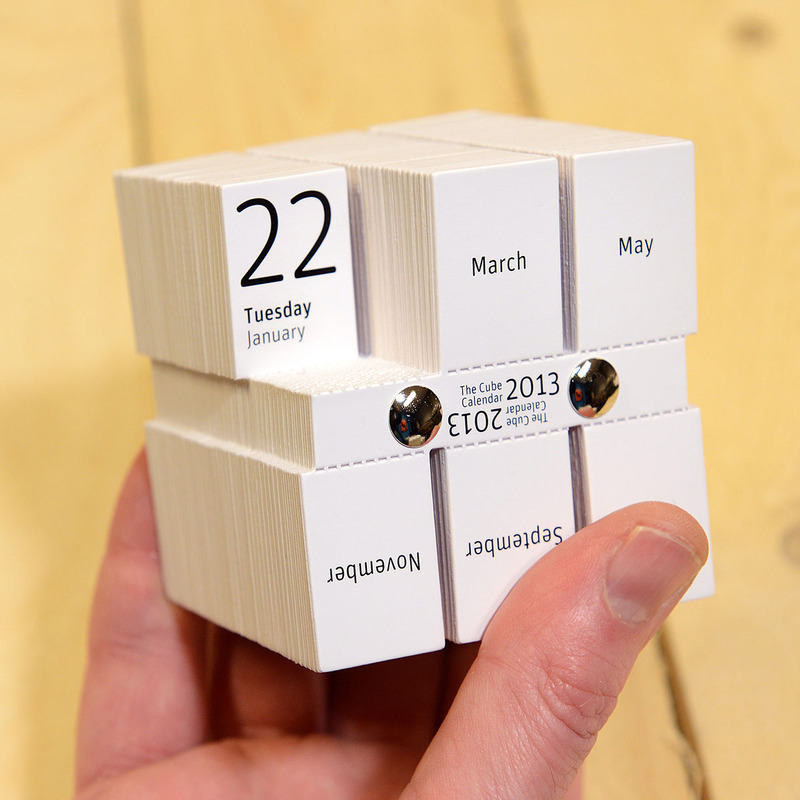 By simply changing the cover, companies can easily add an elegant and personal touch to The Cube Calendar, making it suitable as a promotional gift. 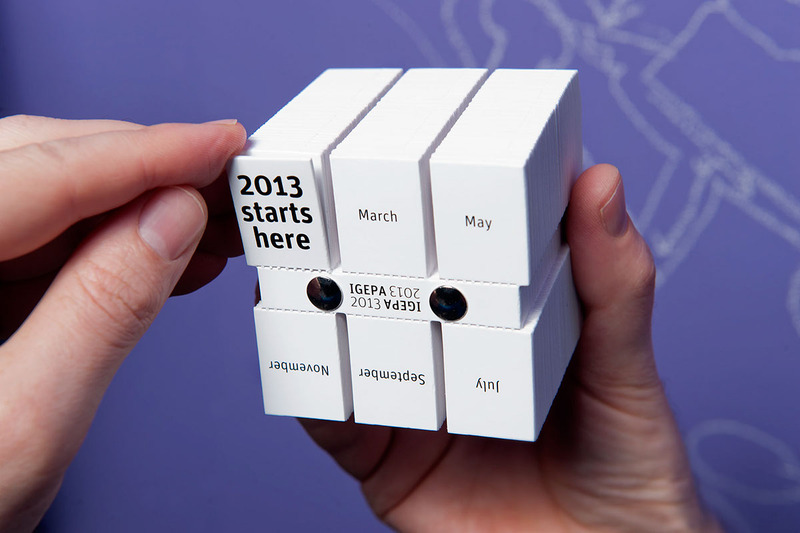 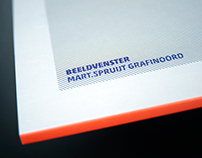 Igepa Nederland B.V. has done this for its sister companies in Belgium, Germany and Switzerland. 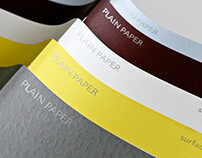 An extra edition has been produced for sale to private individuals through museums, as well as design and interior design shops.